Kahi Movie Review: Arvind Sastry is the writer, director and editor of this new thriller Kannada venture. Rekha Venkatesh and Nagasheela Prakash has produced this film under the banner of Boiled Beans Pictures Production. The Kahi Kannada movie has released today (November 4, 2016) on worldwide along with the subtitles. The movie tells the interactions of four different Bengaluru lives in the thriller genre. Read the Kahi Movie Review, Rating, Story and final verdicts of the film. The Kahi film is a series of different events in the present Bengaluru city which consists four different lead characters such as a dancer, a drug peddler, a writer and a psychopath. The above provided Kahi poster’s hands says these characters are the lead of this story. How the story running with the interactions of these four is the Kahi Story plot. The Movie crew had a promotional work from the shooting itself. The Official Kahi movie Facebook page consisted with all the details about the movie from media interview to making of the film. Read the Kahi movie Review, Rating, Cast & Crew here below. Suraj Gowda, Matangi Prasan, Harisharva, and Krishi Thapanda are the lead characters of this film. Suraj Gowda as Raghu, Matangi Prasan as Vidya, Harisharva as Hari, and Krishi Thapanda as Akhila. Ramesh Bhat, Kishori Ballal, Shrinivas Meshtru, Mahesh Bung, and Aravind Iyer are the supporting artists of the Kahi Kannada movie. Arvind Sastry had more research before the film shoot and made this thriller Kannada film. He also place a Wikipedia link of Sisyphus and The Myth of Sisyphus by Albert Camus in his trailer description. The Kahi Trailer has started with the quotation of Albert Camus. It says “One Must imagine Sisyphus.” The Kahi Kannada Trailer is crossing more than 61,000 views with the 1000 likes and very low dislikes as 8. The Movie had two cinematographers as Prashanth RS and Vinyas CK. The color shades of the film plays vital role in this film. Arvind Sastry has also taken the editing work himself and set the film as full length today on November 2, 2016. Kahi Movie Music: Three people are there in a box of music department in this film. Midhun Mukundan is the music director and the background music composer. Teja ASGK, and Jim John are the sound designers of this film. Soundtrack Mixed and Mastered by Hriday Goswami. It is most important field which reveals the success of the movie. Music is the another major part of this story plot. Arvind Sastry himself released the movie trailers, making video and Audio Jukebox original soundtrack in his own and new YouTube channel. 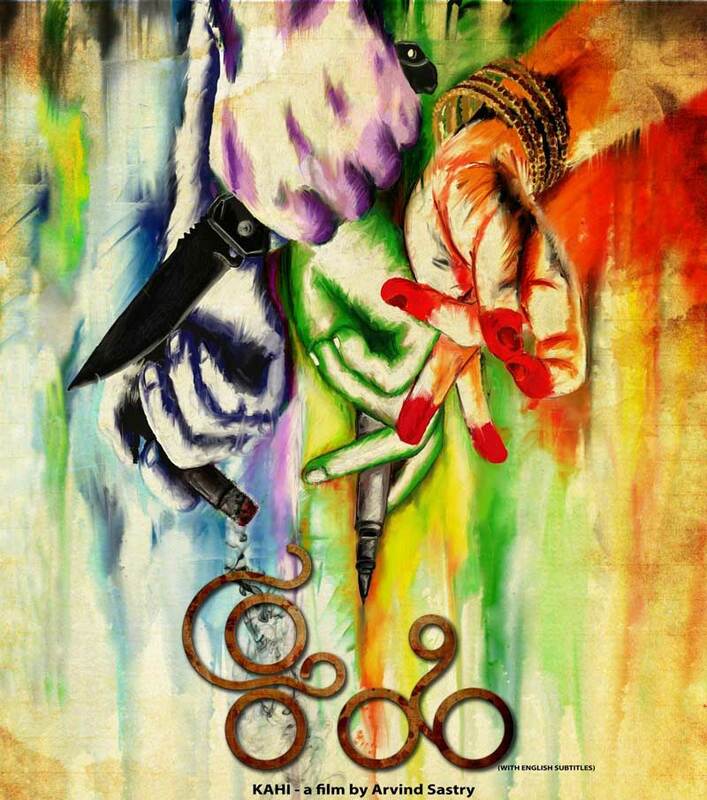 Kahi is one of the best thriller Kannada movie in this year. A dancer, a drug peddler, a writer and a psychopath made their screen presence as well. Watch Kahi Movie at your nearest theater in this weekend.